The Occupational Safety and Health Administration’s (OSHA) portion of the U.S. Department of Labor’s Fall 2013 Regulatory Agenda revealed several dates in 2014 that employers should take notice of, including proposed rules on the long-promised injury and illness prevention program and occupational exposure to beryllium; a small-business review of combustible dust; public hearings on the recently proposed crystalline silica and electronic record-keeping rules; and a host of whistle-blower-protection regulations. Since OSHA’s last agenda release, in July 2013, the agency has pushed out its proposed rules on silica exposure and employers’ submission of injury and illness data and announced a request for information on its process safety management standard. OSHA plans to issue a proposed rule requiring employers to implement an injury and illness prevention program (I2P2) by September 2014. Such a program “involves planning, implementing, evaluating, and improving processes and activities that promote worker safety and health,” the agency said. 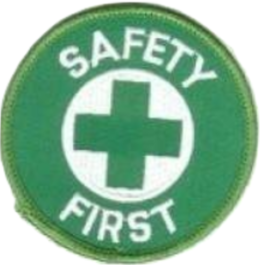 The rule would build on OSHA’s voluntary Safety and Health Program Management Guidelines, published in 1989, as well as best practices learned from organizations that have successfully reduced injuries and illnesses; OSHA’s Voluntary Protection Program and Safety and Health Achievement Recognition Program; and other industry and international initiatives, such as the American National Standards Institute/American Industrial Hygiene Association Z10 and Occupational Health and Safety Assessment Series 18001 standards. It is expected that the I2P2 rule would require employers to find and fix hazards in their workplaces. OSHA will issue a proposed rule regulating occupational exposure to beryllium in April 2014. It published a request for information (RFI) in November 2002 to solicit data on occupational exposure to beryllium, including current exposures to beryllium, the relationship between beryllium exposure and the development of adverse health effects, exposure assessment and monitoring methods, exposure-control methods and medical surveillance. OSHA completed a Small Business Advocacy Review Panel report on the proposal in January 2008 and a scientific peer review of its draft risk assessment in November 2010. Also in April, the agency will initiate the required small-business review of a combustible dust standard for general industry, a proposal first announced in 2009. The U.S. Chemical Safety Board (CSB) completed a study of combustible dust hazards in late 2006, which identified 281 combustible dust incidents between 1980 and 2005 that killed 119 workers and injured 718. In March 2008, OSHA began a Combustible Dust National Emphasis Program, whose information the agency intends to use to assist in crafting this standard. After years of delay, OSHA moved forward with a proposed rule aimed at cutting in half occupational exposure levels to silica dust. Announced in August 2013, OSHA’s proposed rule would set a permissible exposure limit (PEL) of 50 micrograms of respirable crystalline silica per cubic meter of air, averaged over an eight-hour day. The current PEL for quartz, the most common form of crystalline silica, is roughly 100 micrograms per cubic meter. Commenters have until Jan. 27, 2014, to provide their thoughts on the proposed rule and until Dec. 12, 2013, to submit a notice of intention to appear at OSHA’s public hearings in Washington, D.C., scheduled to begin March 18, 2014. In other items critical to the construction industry, OSHA extended the certification of crane operators until November 2017 and scheduled the release of the final rule for confined spaces in construction for February 2014. The standard complements the 1993 issued rule that protects employees who enter confined spaces while engaged in general industry work. OSHA forecast the release of a draft final rule by April 2014 that would update the list of industries that are partially exempt from the requirement to maintain a log of occupational injuries and illnesses, generally due to their relatively low injury and illness rates. The rule would replace the current list of industries based on the Standard Industrial Classification system with a new list, based on the North American Industry Classification system. It would also revise employer requirements to report fatalities and certain injuries. Under current regulations, businesses must report to OSHA, within eight hours, any work-related incident resulting in the death of an employee or the inpatient hospitalization of three or more employees. The proposed reporting requirement for inpatient hospitalizations would be triggered by the hospitalization of just one worker. Another proposed rule, slotted for March 2014, would clarify an employer’s duty to create and maintain accurate records of work-related injuries and illnesses. “The duty to make and maintain an accurate record of an injury or illness continues for as long as the employer must keep and make available records for the year in which the injury or illness occurred,” the agency states. “The duty does not expire if the employer fails to create the necessary records when first required to do so.” Recent court opinions have decided that an employer couldn’t be cited for recordkeeping violations that were more than six months old, which is past OSHA’s statute of limitations. The agenda confirms that OSHA will hold a public meeting on Jan. 9, 2014, regarding the recently released proposal that would expand OSHA’s legal authority to collect and make available injury and illness information and require certain employers to electronically send injury and illness data to the agency, which would make the information publicly available. “An updated and modernized reporting system would enable a more efficient and timely collection of data and would improve the accuracy and availability of the relevant records and statistics,” OSHA explained. OSHA is considering the need for regulations to reduce the risk of workers being exposed to infectious diseases, particularly in health care settings. Workplaces where such control measures might be necessary include health care, emergency response, correctional facilities, homeless shelters, drug treatment programs and other occupational settings where employees may be at increased risk of exposure to infectious people. A standard could also apply to laboratories, which handle materials that may be a source of pathogens, and to pathologists’, coroners’ and medical examiners’ offices, and mortuaries, according to OSHA. The agency plans to initiate a small-business review in January 2014. The regulatory agenda lists upcoming final rules meant to “establish consistent and transparent procedures for the filing of whistleblower complaints” under several statutes covering various industries. According to OSHA, these rules address enforcement and provide specific time frames and guidance for filing a retaliation complaint, avenues of appeal, and allowable remedies. Source: SHRM – Roy Maurer is an online editor/manager for SHRM.